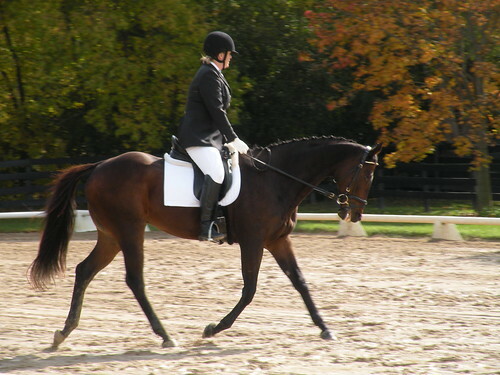 Dressage lessons are available at several local barns. In typical Christy-style, lessons have a solid foundation in rider biomechanics and classical development of the horse. Most of Christy’s students are training their own horses, so she helps them become thinking trainers, as well as good riders. They learn why they are doing things, in addition to how to do them. She discusses theory and trouble-shooting, giving them homework and suggestions for “common errors” they may run into as they practice before their next lesson. This helps them to become well-rounded, thinking riders that are capable of riding independently. Christy teaches both children and adults. Some had never ridden before, but many came to her with experience in hunters or western riding. A few were “getting too old to jump”, while others needed to go back to basics to rebuild lost confidence. There were also some who saw correctly trained, well ridden horses and wanted to learn to do that themselves, with an aim towards the big show ring! All of them saw the harmony and beauty of dressage and wanted to experience it with their own horses. Their horses are thoroughbreds, warmbloods, quarter horses, paints, and others. 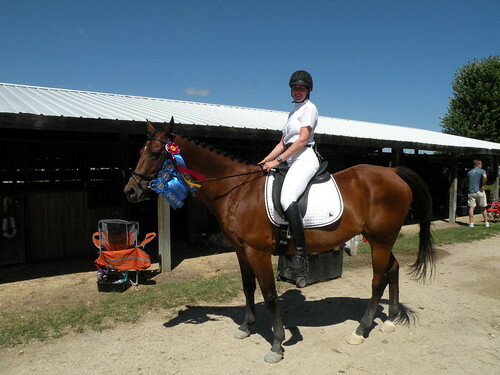 Christy is open to working with riders of all levels, and all breeds of horses. For all of Christy’s riders, after considering the rider’s past experience and the horse’s type and previous training, an individual training program is laid out. Each rider’s needs and each horse’s needs are different, so by custom tailoring a strategy for each horse/rider team, they are all allowed to develop at their own pace. Those that would get left behind in other programs are brought along slowly and correctly without skipping steps, while those that are ready to move up more quickly are not held back. Even horses that may elsewhere be deemed unsuitable for dressage can blossom given patience and creativity in their training program. Through weekly lessons, riders gain an understanding of the process of training a horse in dressage. They learn about theory, biomechanics, proper conditioning, using aids and timing, and different movements and exercises to strengthen and supple the horse. Riders are not just told what to do, but also why, and most importantly, how. This is the big piece that Christy is able to bring to the lesson that many riders find makes the difference between success and frustration. In order to give each horse and rider individual attention and the exercises particular to their needs, Christy only teaches private lessons. A half hour lesson is $35, and an hour long lesson is $55, and locally there is a $15 travel fee (unless a block of lessons can be scheduled). 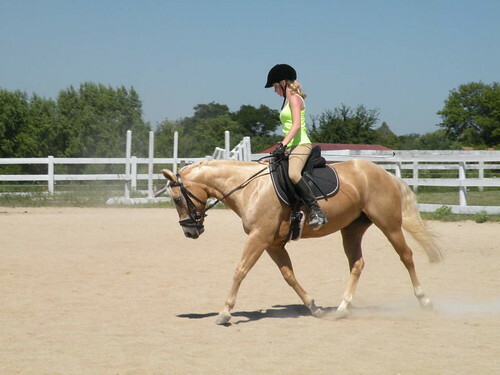 She is currently teaching regularly at Prairie Oaks in McHenry, and is willing to go to other barns as well! If your barn is further away or you have a large group interested, a clinic can be organized to suit your groups interests, with both lessons and lectures. Making progress is very motivating by itself, but many riders get to a point where they want to set a specific goal to work towards and put their skills to the test. 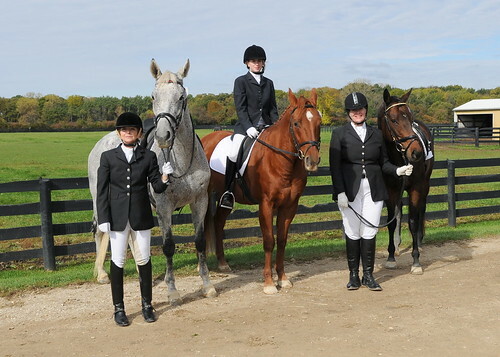 For these riders, we have a show team that is open to everyone, and whether or not you have a strong competitive drive, showing can be fun and educational.